Agrochemical and biotech giant Monsanto claims it is just a global company seeking to help mankind engineer a better life. However, the company is increasingly behaving more like an element of organized crime, especially when faced with science that refutes its claims about how “safe” its genetically modified crops and seeds are. The company sends its operatives to intimidate and bully academics whose work produces results that counter Monsanto’s claims. One of the most recent incidents took place at the National University of Cordoba in Argentina. There, university administrators dropped sanctions they were planning to levy against a scientist who conducted cancer research in the town of Monte Maiz after being faced with staggering popular and scientific support for his findings. Dr. Medardo Avila Vazquez and his team conducted a survey that found that the incidence of cancer in Monte Maiz was three times the provincial and national average, correlating with exposure to pesticides in the area. The main crops grown are GM soy and maize. The administrative sanctions against Vazquez were initially requested by the dean of the Faculty of Agriculture, Juan Marcelo Conrero, who said the university did not support the research by Vazquez and his team because it did not match the project that was authorized. 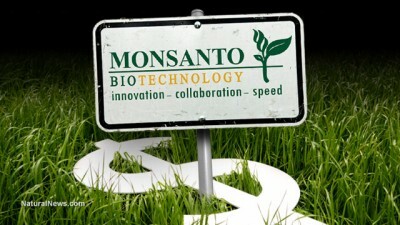 Enter the hidden hand of Monsanto. The Argentine national political party Unidad Popular also expressed its support for Vazquez’s work, according to GM Watch. On its website, the party wrote that Conrero, the dean who initiated the action against Vazquez, had just last year signed agreements between the University and Monsanto. As academics, institution officials, scientific authorities and social leaders from twelve countries who are engaged in research work into the question of food security and biotechnologies, we meet at various different international conferences and networks, such as the international food security Forum coordinated by Yunnan University in China. We hereby wish to express our support for, and recognition of the scientific work and endeavors of Dr. Medardo Avila Vazquez and his team, currently called into question by the National University of Cordoba in Argentina for carrying out a study on environmental health among the population of Monte Maiz (a small town in the province of Cordoba, Argentina). This study was requested by the mayor of the town and was accompanied by other academic groups from the National University of Cordoba and the National University of La Plata. Hugo Bettiol, the health secretary for Monte Maiz, was quoted in La Mañana de Cordoba regarding the university’s moves against Vazquez as saying, “There are many economic interests. We are a soybean country with lots of money at stake, and there are many pressures.